With the purchase of the Wacom Intuos4 Small tablet, I have now moved forward with creating my book cover and sketches for the Website. The tablet actually has a small learning curve. You will have to basically see your monitor as the small area on the surface of the tablet. 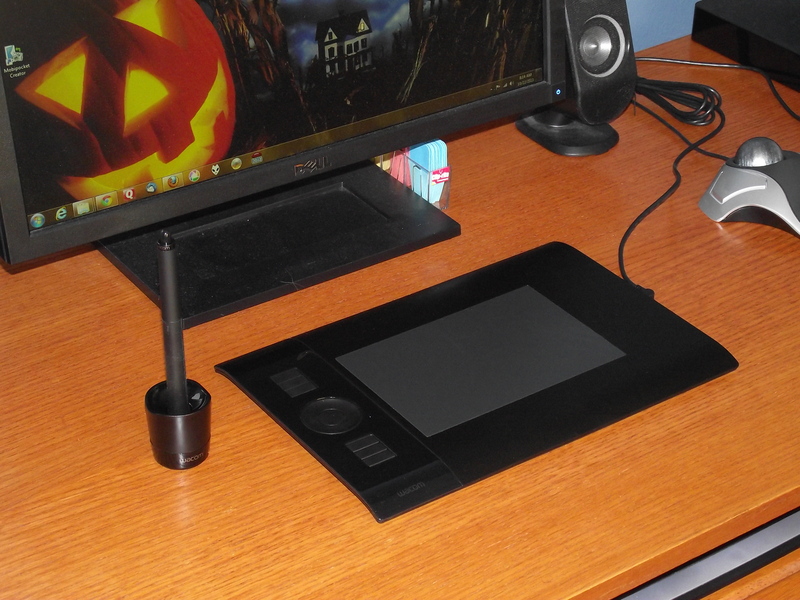 The pen is excellent and is adjustable through the software provided. With these tools, everything should be a lot easier and cleaner too. As for the tablet, I would give it a 10 out of 10.